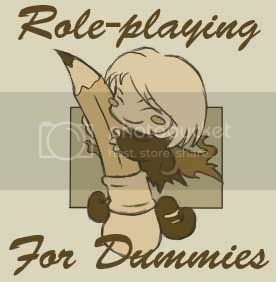 The first featured wikipage for August 2014 is Role Playing for Dummies, which was designed by the talented [Lunnie]. Written in such a way that anyone who is interested in roleplaying, from seasoned veteran to clueless newbie, can read and learn some new tips and tricks of the rather complicated art of making characters, playing in character and just generally roleplaying with others. Filled with fun humor and easy to understand writing, we suggest Role Playing for Dummies to anyone interested in bettering themselves in roleplaying.